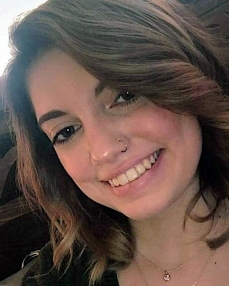 Shereen Marie Zahran Al-Beesheh, 18, of Roanoke passed away Saturday, January 26, 2019. She is preceded in death by her grandfather, Steven Winfrey; grandmother, Mariam Alkhawaja and great-grandfather, Harvey Pack. Surviving are her mother, Christina Winfrey; second mother, Sandy Pack; father and stepmother, Zahran AlBeesheh (Omaima Alkhawaja); brothers and sisters, Mariam, Ahmad, Sereen, Mical, Massah and Kam’ron; grandparents, Mohammed Albisheh and Connie Norfleet (Mike); uncles, Shaker AlBeesheh, Basheer AlBeesheh, Jamal AlBeesheh and Adam Johnson (Mariah); aunts, Eman Alkhawaja and Suzan Albishah; special cousins, Amer Albishah and Rawan Albishah; numerous other family and friends. The family will receive friends from 2-4 and 6-8 pm, Friday, February 1, 2019 at Lotz Funeral Home, 1001 Franklin Road, Roanoke. A celebration of Shereen’s life will be conducted 1 pm, Saturday, February 2, 2019 at Lotz Funeral Home Roanoke Chapel. Burial will follow at Sherwood Memorial Gardens.